Construction began over 12 years ago, when the Cold War was well and truly over and there was no hint of the recently revived tensions with Russia. So why did Germany feel the need to build what has become the world’s biggest intelligence HQ? Was it done in anticipation of the recent renewal of tensions with Moscow? Although we wouldn’t entirely dismiss that idea we would suggest that the German authorities had a more pressing concern when they commenced construction. This wasn’t done in response to any perceived threat from outside of Germany. No, Germany’s Federal Intelligence Service (BND) felt it needed such a big facility to monitor domestic dissidents. Not foreign agents. Britain has a similar facility in GCHQ, the UK government’s official listening post from where it monitors malcontents, the U.S. has similar means, and now Germany has its own. 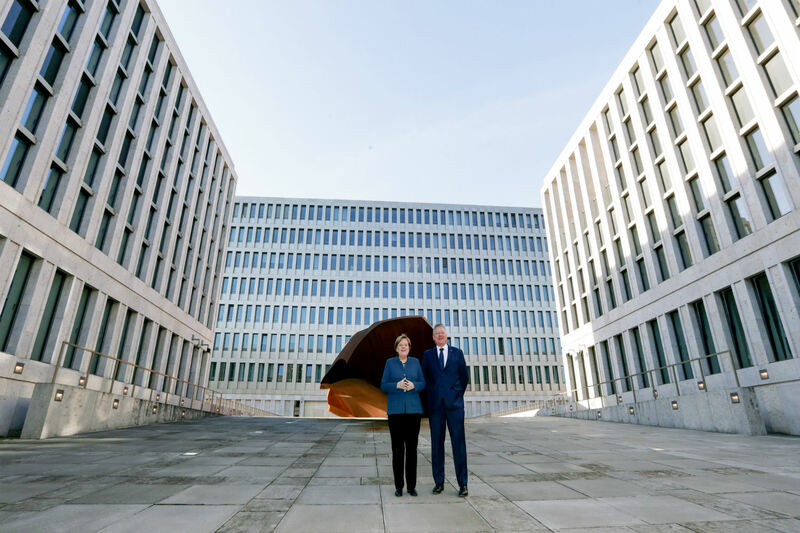 In other words we would suggest that Merkel authorised the construction of the new BND headquarters in anticipation of rising levels of political malcontent. So that Germany now has its own version of the “all-seeing eye” from which it can keep tabs on local dissidents. Ed.